When looking to upgrade the loudspeaker systems at two Northern California educational institutions, Rocky Giannetta, president of independent services provider Layer 8, knew he needed amplifiers that offered both Dante connectivity and advanced DSP with pristine sound quality. In searching for the perfect solution, Giannetta turned to Powersoft’s Quattrocanali—a compact, four-channel amplifier platform—for not only its comprehensive feature set, but also its reliability. 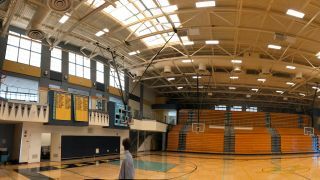 At the end of August, just before school started, Heritage High School, a 9th-12th grade high school located in Brentwood, CA, one hour east of San Francisco, replaced the amplification in its gymnasium loudspeaker system, which features eight speakers. Giannetta specified, programmed, and tuned the new Powersoft system, which included two Quattrocanali 2404 DSP+D amplifiers. For this installation, Giannetta needed an amplifier to cover advanced DSP functionality across four channels. Meantime, located just off Modesto’s busy downtown DoMo district sits Modesto Junior College—a public, two-year institution with a significant performing arts program. The college’s theater’s loudspeaker system is used regularly throughout the year for productions such as Aesop’s Fablesand Agatha Christie’s Spider’s Web. When it began suffering system failures, Giannetta was brought in to program the DSP system. During the process, Giannetta also specified a new amplifier platform for the LCR loudspeaker system and selected four Powersoft Quattrocanali 4804 DSP+D amplifiers—both for their advanced programming and compact size. An avid user of Powersoft products for 2.5 years, Giannetta said the company’s all-around ease to work with makes it an effortless choice every time. In addition, the overall reliability of Powersoft’s amplifier platforms has been a key ingredient to his success.